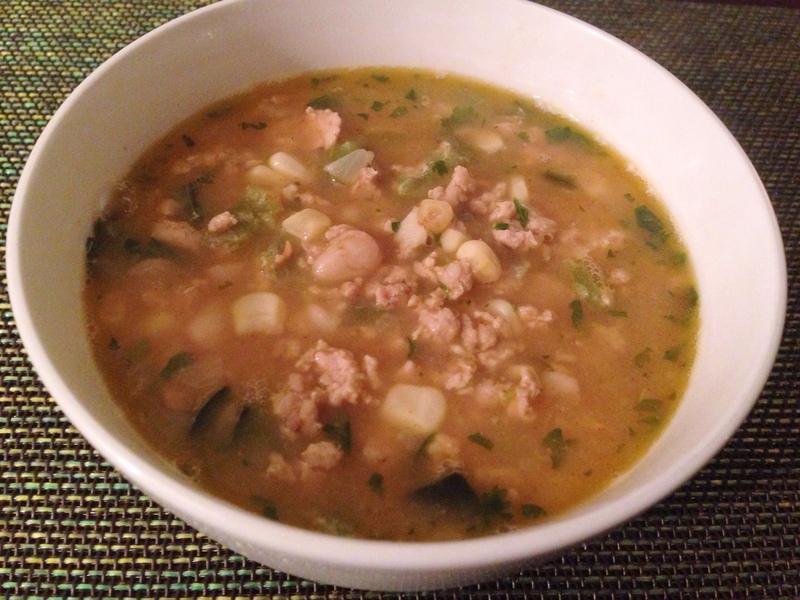 This white chili with chicken recipe is packed with flavor but has no heat so it is great for those who don’t like spicy foods. In fact, I came up with this recipe after a friend of mine asked me for a chili recipe that her kids would like. This one has plenty of flavor without the kick. And, it cooks up pretty quickly – 30 minutes, plus time for chopping, making it an easy weeknight family meal. It also freezes quite well making it perfect for a make-ahead dinner plan. 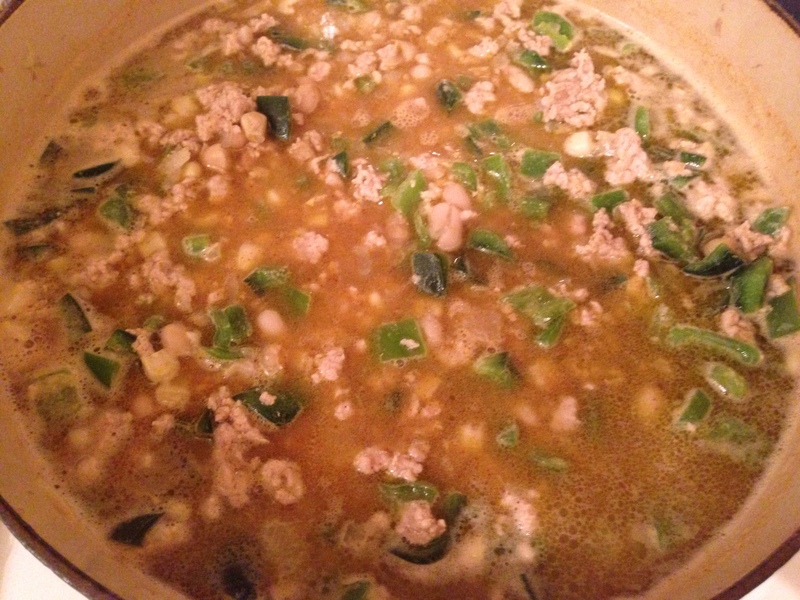 No tomatoes or tomato sauce are included in white chili, hence the color… or lack thereof. This recipe calls for ground chicken thighs, which provide enough fat to keep the meat flavorful and moist. Poblano peppers and Anaheim peppers add a nice touch of flavor without being spicy. Cumin and chili powder provide the main chili flavorings without the heat. 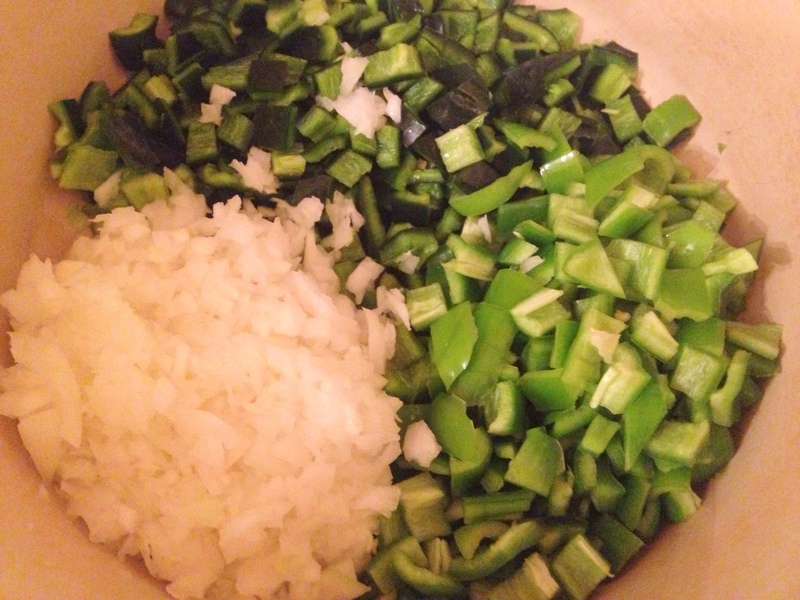 To make the chili, add peppers, onion and garlic to a pot with the EVOO and sauté for four minutes. Add ground chicken stir to mix all ingredients through and break up the chicken so it is in small pieces rather than chunks. Cook for four minutes. White beans are used instead of the traditional red kidney beans, and a cup of corn helps round out the heartiness of the chili. Low sodium chicken stock serves as the liquid and masa harina is used at the end for thickening. The chili cooks in just 30 minutes in total. Grated Monterey Jack cheese works as a nice complement, yet, the chili is flavorful enough that it doesn’t need really need it. Remove stems and seeds from peppers and dice. Dice onion and mince garlic. Add peppers, onion and garlic to pot with the EVOO and sauté for four minutes. 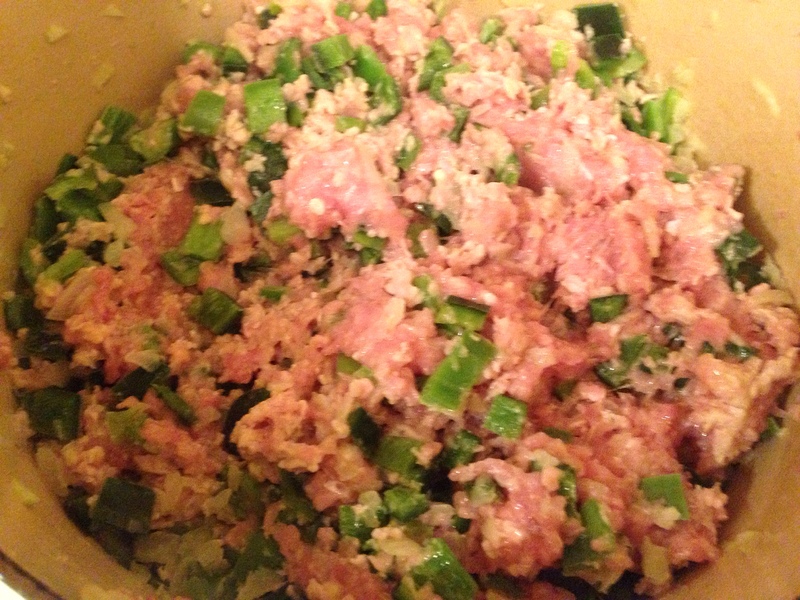 Add ground chicken and cook for four minutes, with constant mixing to help break up the chicken. Then add the stock, beans, corn, chili powder, cumin, salt, and lime juice. Bring to a simmer, cover and cook 25 minutes. Mix the masa with 1/2 cup cooking liquid and mix through until masa is absorbed and add back to pot along with cilantro and mix through. Simmer, covered for five minutes. Serve with grated Monterey Jack cheese, optional. 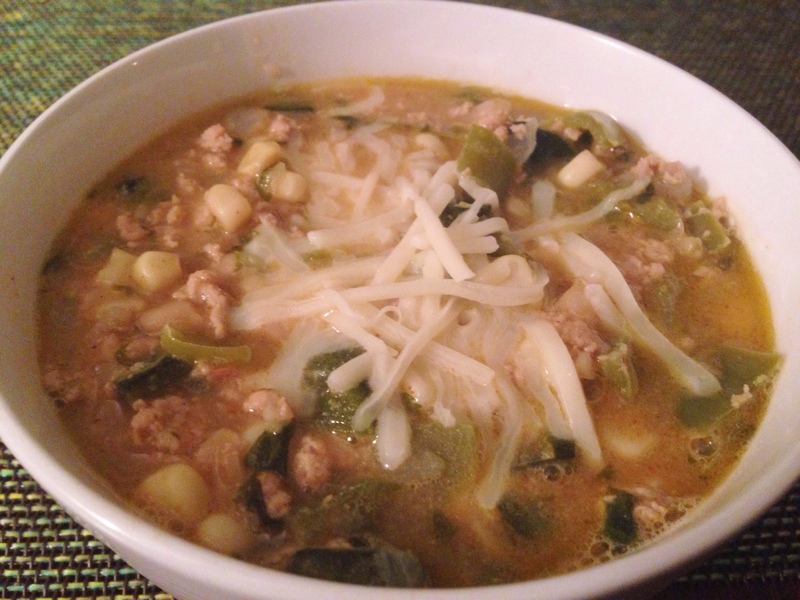 This entry was posted in Blog, Recipes and tagged Anaheim peppers, Chicken, Chili, gluten free, poblano, white chili on January 3, 2015 by Leslie.